Walled Garden Sunflower Maze opens tomorrow! 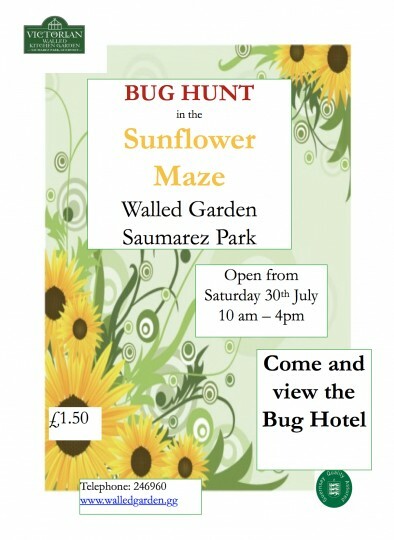 The ever popular annual Sunflower Maze opens tomorrow at our Victorian Walled Kitchen Garden, Saumarez Park. New for this year, is a Bug Hotel … it could be said that a high rise hotel is going up at Saumarez Park without planning permission! We aim to make the Bug Hotel as high as we can, so it will house lots of types of creepy crawlies and bugs. As usual, there will be a Bugs and Beasties picture trail planted amongst the sunflowers. The flowers are looking at their best now and the Sunflower Maze will be open as long as the flowers thrive. Come and see us as soon as you can. The Maze will be open from Saturday 30th July daily from 10am – 4pm including Sundays. £1.50 each. 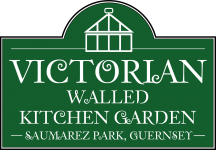 For further enquiries, please contact info@walledgarden.gg or call Ivan Le Tissier, Garden Administrator on 246960.